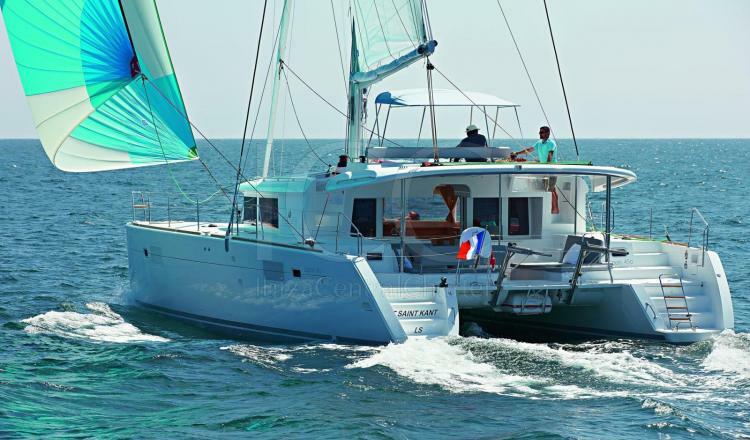 Year of launch 2015, this Lagoon 450 with air conditioning combines exceptional comfort with magnificent sailing and motor features. 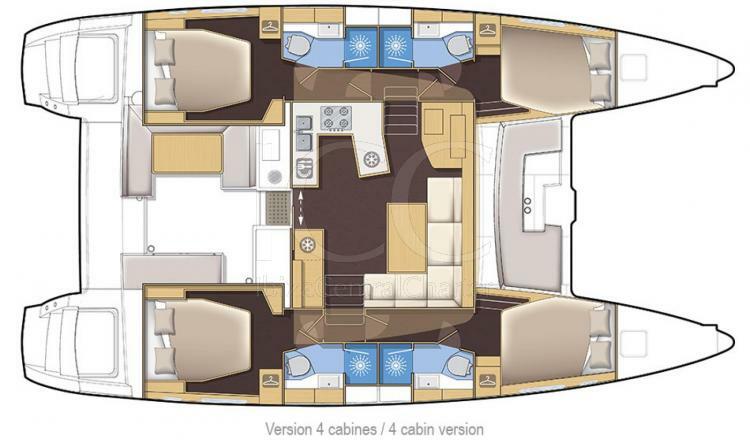 This spectacular Lagoon 450, with almost 14 meters of length, offers magnificent navigation features and good stability on board, guaranteeing comfort to all passengers in any of its areas. 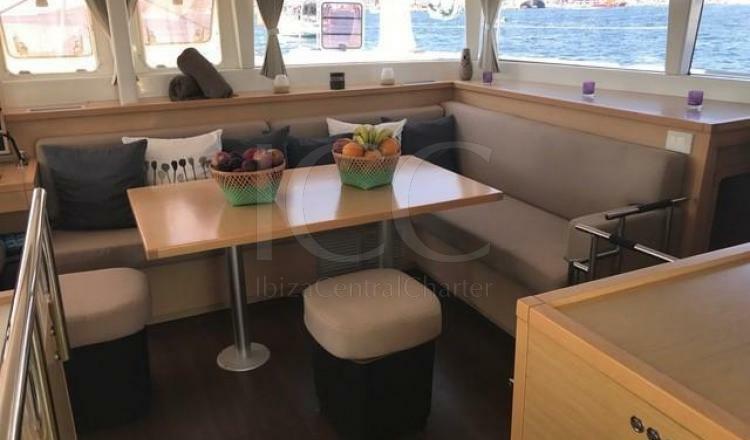 It has two outdoor terraces, one in the bow and one aft, with comfortable cushioned seats ideal to enjoy the sunsets or the beautiful views of the islands of Ibiza and Formentera. 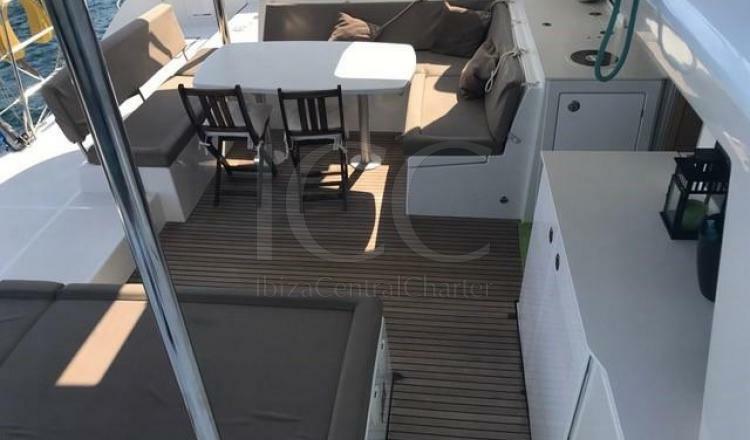 In addition, the aft terrace offers a sofa with a table to enjoy meals or dinners outdoors and that provides direct access to the living room, which can be converted into a single space thanks to its sliding glass door. 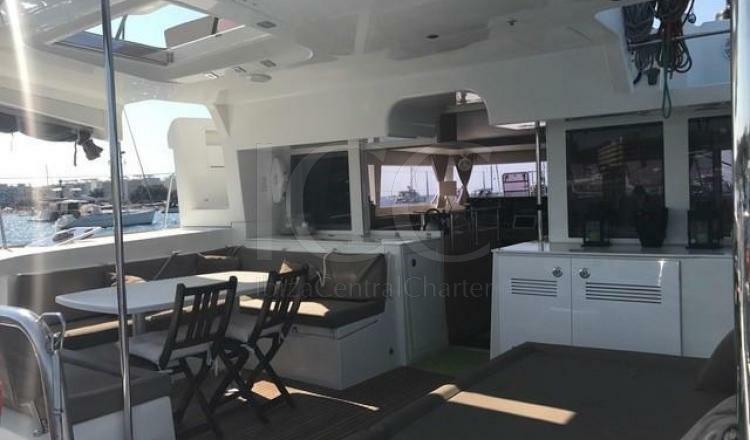 On the flybridge, the command area is located along with some seats for the rest of the passengers with views of the horizon. 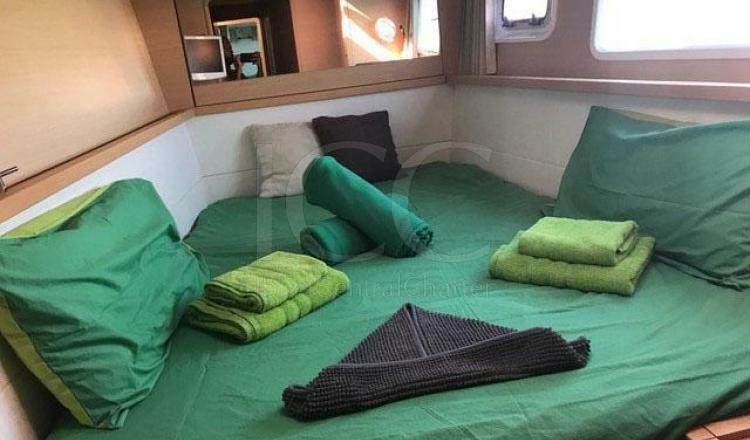 The interior area offers four very bright double cabins that have a private bathroom each with extra space for showers, with capacity for a maximum of 8 people. 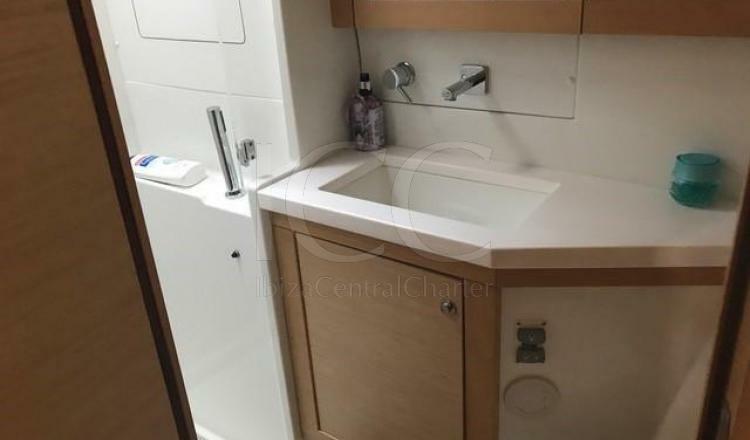 It also has a kitchen equipped with gas hob, microwave, coffee maker and oven, some of the amenities offered. And a lounge, perfect to enjoy the endless evenings, which has large windows with 360º panoramic views and air conditioning. 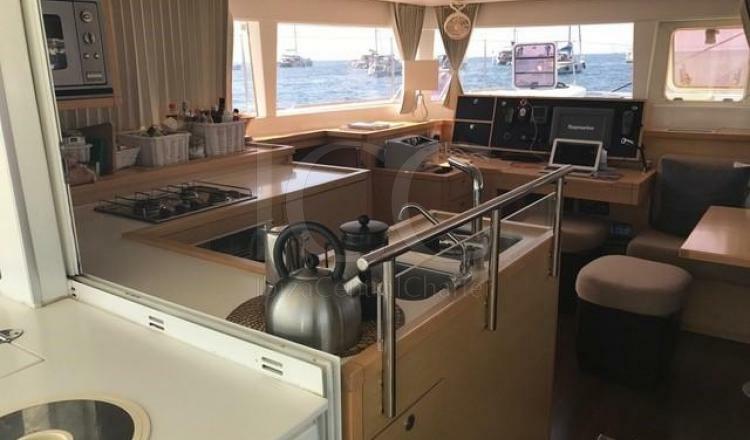 In addition, your water treatment plant and its large tank will avoid having to go to the port to refuel, guaranteeing an incredible vacation on the islands of Ibiza and Formentera in the company of your friends or family without having to worry about anything. 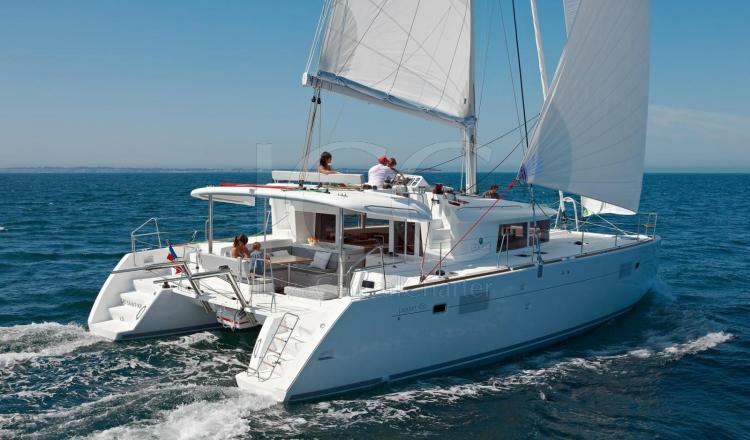 - Pack comfort: Cleaning, dinghy, bed linen and towels: 399€. 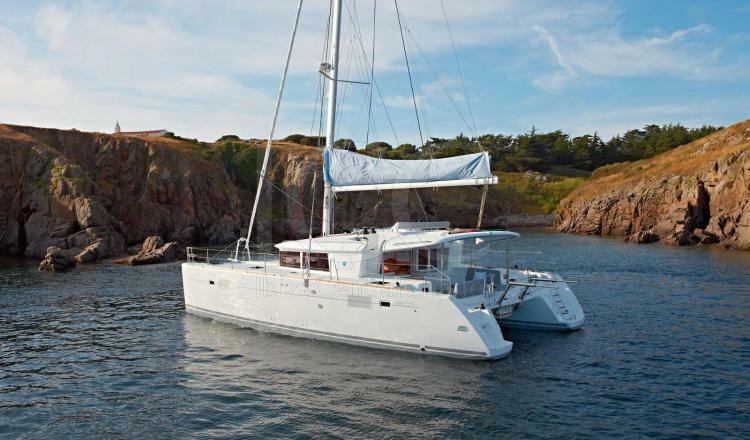 - Deposit with skipper: 1000€ with a credit card.